Hop into spring fun with our list of local Easter egg hunts. It's almost time for Peter Cottontail to go hop-hop-hopping down the Bunny Trail. In 2013, Easter is Sunday, March 31st. 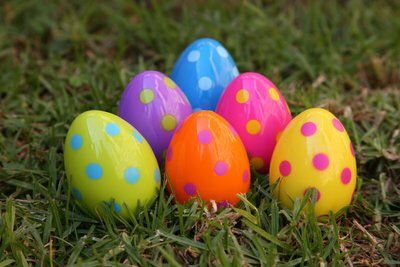 Some Easter Egg Hunts start as early as the middle of March so you better make plans now to hunt for the Prize Egg. Several events require reservations. What's the holiday without an outdoor egg hunt? There are plenty of egg hunts all over Long Island, where kids can run through the soft spring grass searching for brightly colored orbs hidden amongst bushes and blooms. Many venues have scheduled hunts by age to give both little kids and big kids a fair shot at filling their baskets. Remember to bring a basket (or a bag) for the kids to use to hold their collected treasures and pack your camera for Easter Bunny photo-ops. Don't expect a basket full of candy after a trip to some Easter egg hunts this year. Instead, coordinators are hoping to emphasize healthy eating and physical activity instead of a mad candy scramble. Subject: LongIsland.com - Your Name sent you Article details of "Saturday's Top 10: Easter Egg Hunts are Eggs-actly what you’re Looking for!"